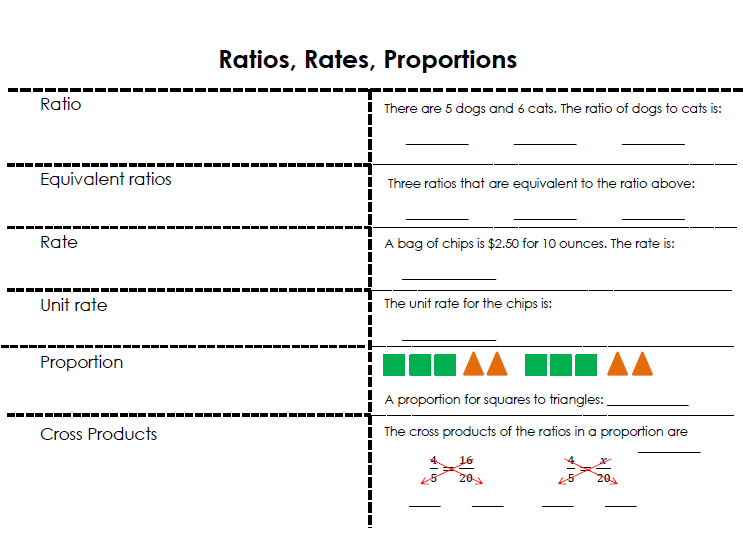 I've been working on more ratio resources! Over the weekend, I worked on creating more Fold it Ups, specifically for ratios this week, but others for the rest of the year as well. 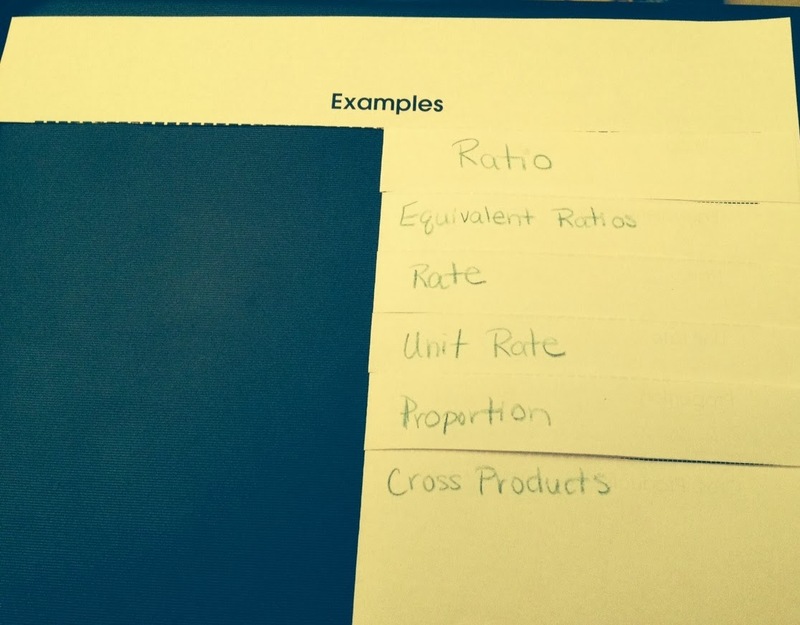 This particular Fold it Up reinforces terms we have discussed (ratio, equivalent ratios, rates, and unit rates) and then adds the ideas of proportions and cross products. Click to download - pic of inside notes included. The other picture below shows the Fold it Up with the notes filled in. I've become frustrated with the idea of having students staple or glue these Fold it Ups into their spiral notebooks or putting them into a pocket...somehow some students end up losing them (usually the students that most need these notes). Other students have filled up their spiral notebooks and started new ones, so they either have to remove the Fold it Ups from the original notebook or carry both notebooks. Poor planning on my part, I guess. So, what I'm working on now is combining all my Fold it Ups and notes into one document that I will print and have bound, starting next year. Our district does bind books for us....not a spiral binding...it will be difficult for the pages to get ripped out and lost. 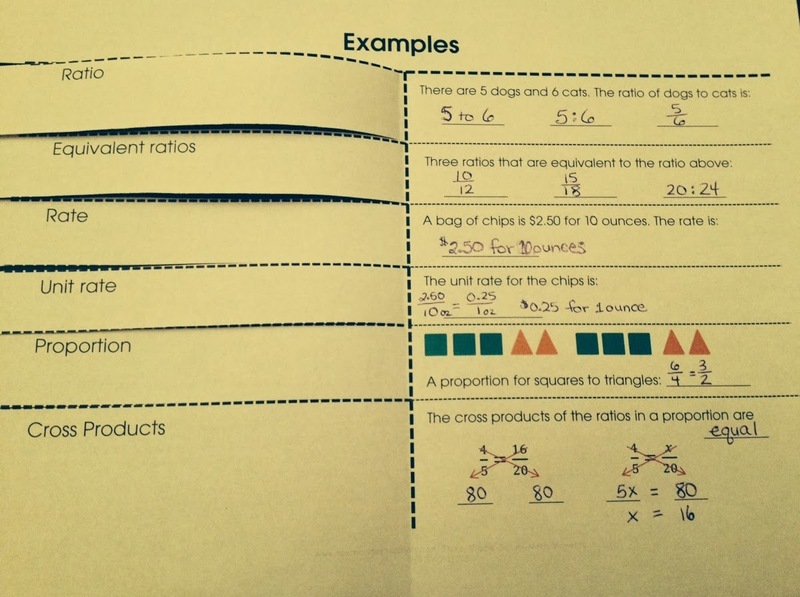 What is your most effective way to keep notes like these in your students' possession?